Welcome home to this charming Cape Cod home! Brick and vinyl front create inviting entry way leading into large living room! Main level includes a large master bedroom with walk-in closet. Full bath with a corner whirlpool tub is located on the main level. Large open concept kitchen leads to the fenced in backyard with a patio ready to entertain! Upstairs has large walk-thru & private 3rd bedroom. Basement has rec room & 1/2 bath. Two car garage is attached to an additional concrete parking pad! 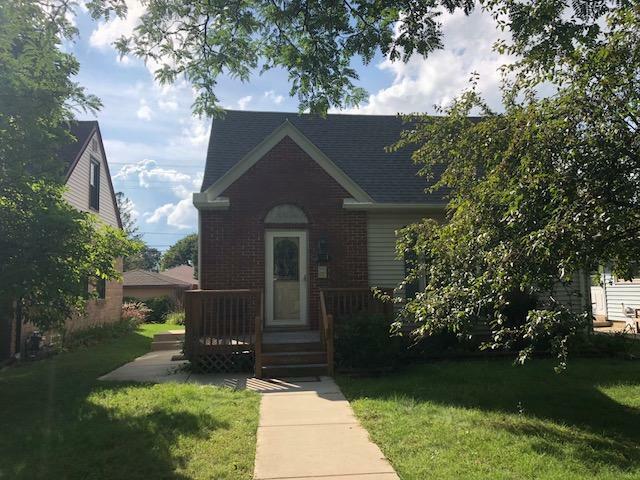 Close proximity to I-94 via HWY 100 - come make this house your home! Property comes with a 1 year home warranty provided by the Seller! Assist2Sell Right Price Realty, Inc. Copyright © 2019 MetroMLS - All rights reserved. Information is supplied by sellers and other third parties and has not been verified. Real estate listings held by brokerage firms other than Assist 2 Sell Right Price Realty, Inc are marked with the BR logo and detailed information about them includes the name of the listing brokers. Listing broker has attempted to offer accurate data, but buyers are advised to confirm all items. IDX information is provided exclusively for consumers' personal, non-commercial use and that it may not be used for any purpose other than to identify prospective properties consumers may be interested in purchasing. Information last updated on 2019-04-25.